Season 3 of NBC World of Dance aired last night with the second round of performances of The Duels: The Junior Division. 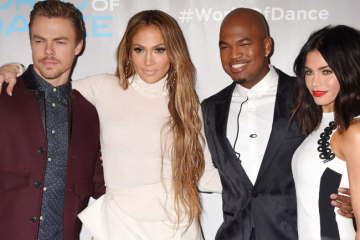 Celebrity judges Jennifer Lopez, Derek Hough, and Ne-Yo had the task of scoring each match-up, knowing only one act from each Duel will move forward to The Cut. Ellie and Ava came out with a beautiful performance to Kelly Clarkson’s “Because of You.” Jennifer Lopez called their performance “technically perfect,” while Derek Hough commended them for their emotion. Ne-Yo gave Audrey and Mia kudos for taking the judges advice from their last performance, because their performance hit harder. Derek Hough wished they had finished stronger, he thought there were some missed musical moments at the end of the routine. Jennifer Lopez called the duo “great entertainment.” Ne-Yo said they “earned the funny,” and Derek Hough said they made him laugh. Kayla said this matchup challenged her to up her dynamics and musicality. Derek Hough fawned over the maturity of her movements, and Jennifer Lopez pointed out her wobbly movements, but said it was good performance overall. 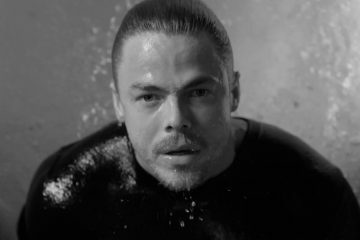 After he performed in The Qualifiers, Derek Hough challenged Aydin to improve his musicality in the future, and within the first few seconds of his performance, it was safe to say he used that feedback appropriately. Jennifer Lopez described his performance as exciting, strong, and passionate. Ne-Yo compared him to Michael Dameski from Season 2 of NBC World of Dance, and said it was a compliment as well as a challenge. The four dancers of Moving 4ward presented a beautiful display of athletic movements and picturesque moments. They told the judges they used their feedback, put in the hours and used what they told them. Ne-Yo said he must be critical, and said they weren’t as in-sync as he would have liked them to be. Earning a standing ovation from Judges Derek Hough and Ne-Yo. Jennifer Lopez commended Julian’s choreography as well as Charlize as being a strong partner. The judges all agreed that they did a good job. The three members of The Trilogy came out with an emotional, picturesque performance. The judges agreed they gave a beautiful performance, using words like “soaring,” and “delicate”, judge Ne-Yo said he needed more from them this round. With great acapella moments throughout their performance, the duo of House of Tap proved they have great rhythm. Derek Hough said they represented tap perfectly, and said their internal metronome was spot-on. Ne-Yo thought it was going to be an easy battle, but was proved wrong. As the last duel performance of the evening, Lauren Yakima brought her intensity, strength, and technique to the World of Dance stage for The Duels, earning a standing ovation from Ne-Yo and Derek Hough. Jennifer Lopez said she has star quality, and Ne-Yo appreciated her confidence. The two highest scoring eliminated acts of The Junior Division were Kayla Mak and House of Tap. After a tough battle, the judges chose Kayla Mak to move forward to The Cut.